Jenny Goodman has been running choirs, singing groups, workshops and projects for over 25 years. She believes passionately that singing is a natural part of human expression and that singing together creates powerful bonds between people. Jenny originally trained with Frankie Armstrong and remains heavily influenced by Frankie's approach which grounds the voice within the body, celebrates the diversity of the human voice and is based in the oral tradition. Jenny also started her community singing journey as a member of political choirs Raised Voices in London and Eurydice Women's Choir in Glasgow and continues to be committed to song as a means to support social change - she cites Sweet Honey in the Rock as one of her greatest influences. 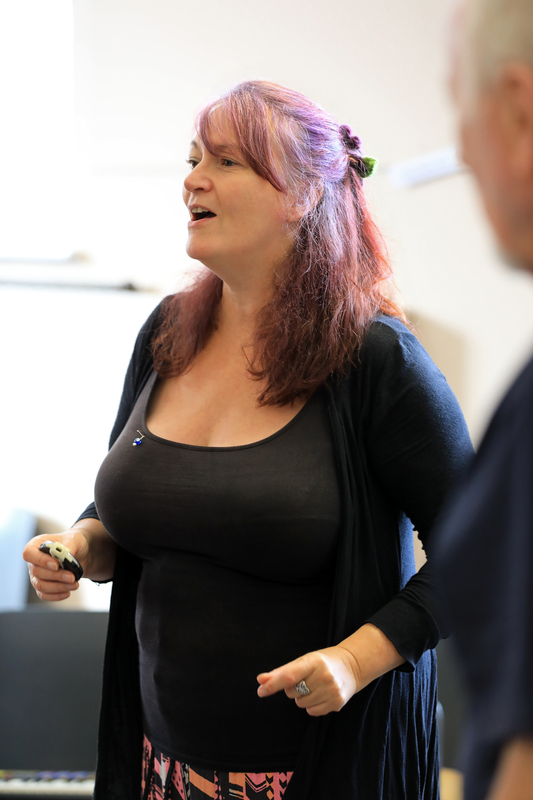 Jenny is a founder member of The Natural Voice Practitioners Network and one of the most experienced and respected acapella harmony and voice teachers in the UK. She has worked across the country and internationally. She has run open access community choirs in Scotland, the Midlands and Yorkshire and is committed to singing being accessible to all. She combines her teaching work with song-writing and performing. She currently runs performance group Far Cry Acapella in Huddersfield, Amazing Acapella singing for all in Holmfirth and regularly travels to Edinburgh and the Midlands to run workshops and groups. She performs with The Blameless Hussies acapella duo.